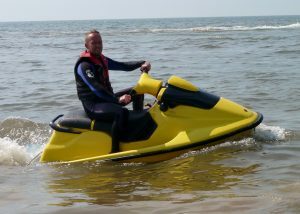 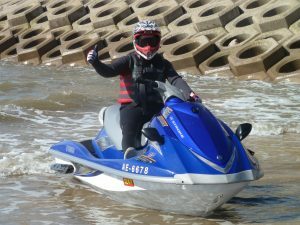 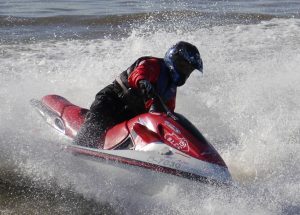 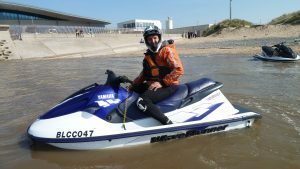 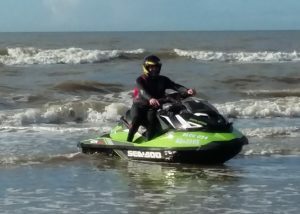 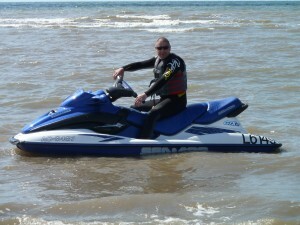 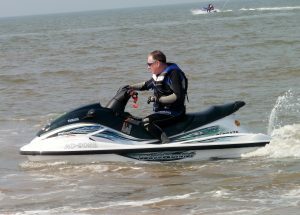 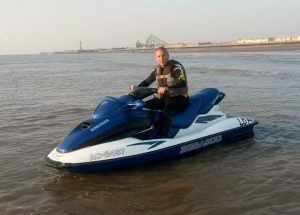 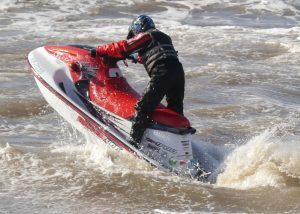 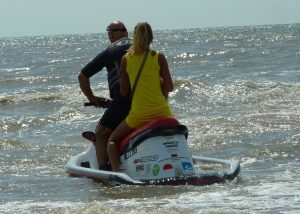 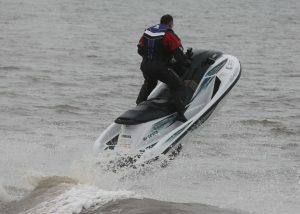 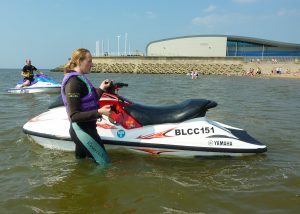 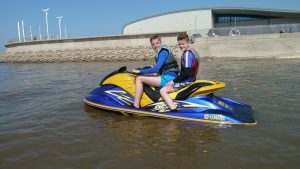 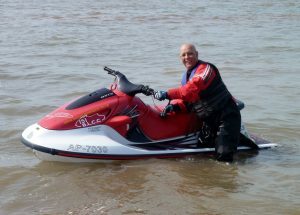 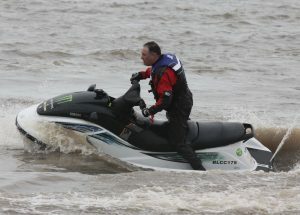 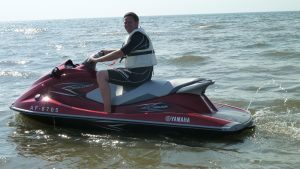 Jet skiers and wet bike members are very welcome, so if you are tired of lapping the same still water, restricted by the tide times window of opportunity or having to struggle through mud, give us a call. 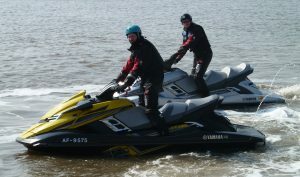 There was a significant increase in the numbers of skis joining us over the course of last season. 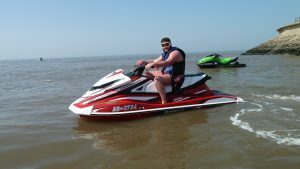 Whether that’s because the club now has a higher profile, offers excellent value for money or perhaps simply that the myths surrounding club membership are being dispelled is unclear. 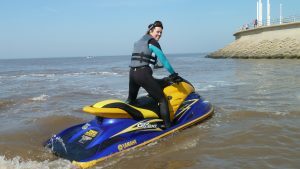 What is certain however, is that membership with us provides our skis with as many waves and as much open sea as they could wish for. 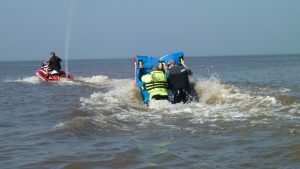 Using a tractor and the slipway outside our gates makes launching and recovery simple and members can do so at any stage of the tide. 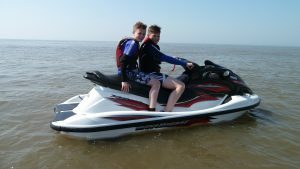 Members also have access to secure free parking for their vehicle and trailer whilst out on the water or on the beach, a clubhouse with changing rooms and showers and a hose and jet wash to flush and clean off your ski after you have been on the water.